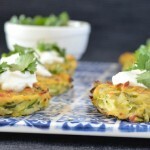 Grate the zucchini and squeeze to remove excess water. Add to the bowl. Heat some oil in a fry pan over medium-high heat. Spoon 1/4 cup size portions of the mixture into the pan and cook 3-4 minutes each side, until golden and cooked through. 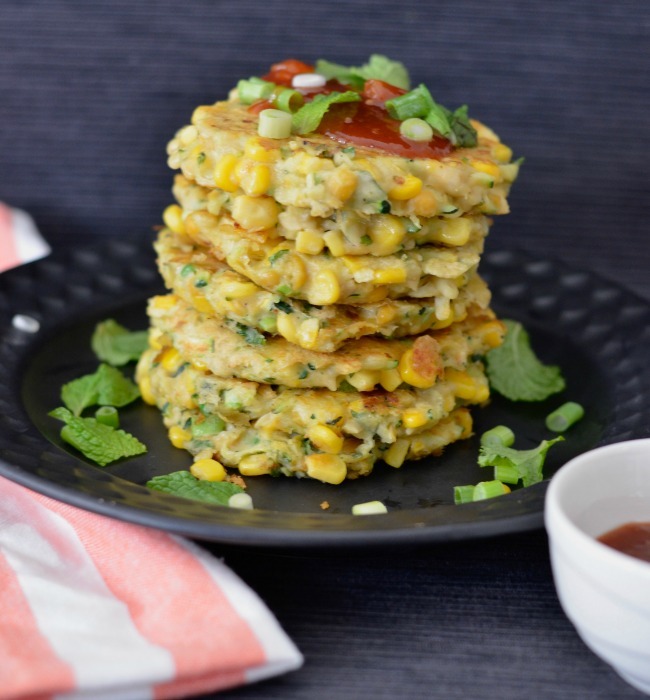 These corn, zucchini and chickpea fritters are another excellent option using almost entirely pantry staples. 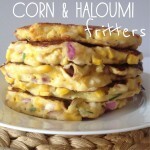 That makes it a cheap but also filling and delicious option perfect for breakfast, lunch or dinner. 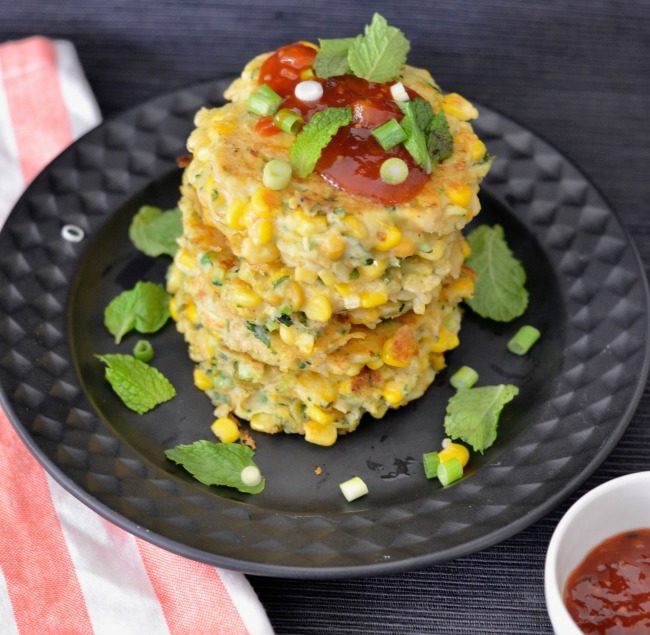 You can make up the mixture in advance and cook the fritters later the same day which is perfect for those busy evenings when you need dinner on the table in a hurry! 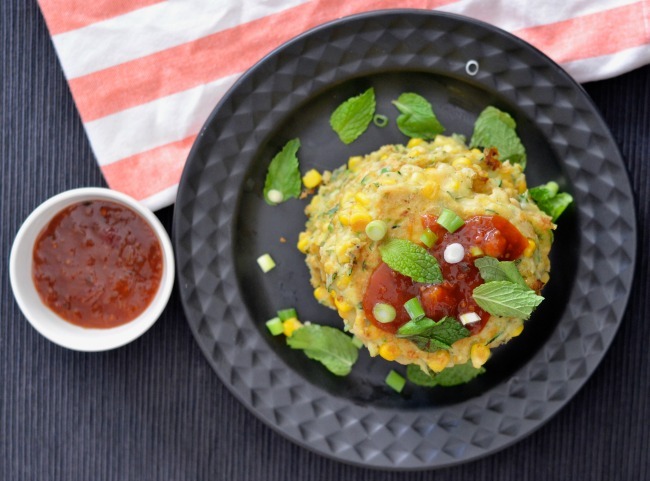 These corn, zucchini and chickpea fritters are particularly excellent when served with either tomato relish or sweet chilli sauce. 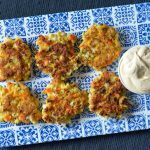 I had mine with a side salad, but if you want something even more hearty you could fry up some haloumi to top these with, or even an egg. They really are that versatile! 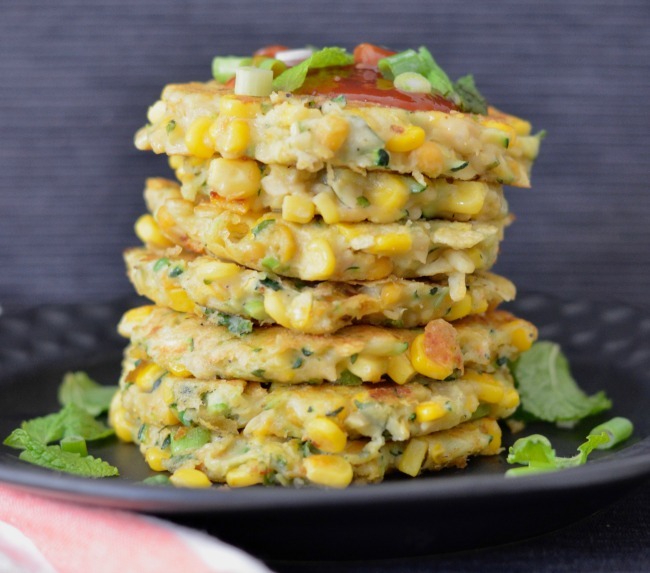 What meal would you have these corn, zucchini and chickpea fritters for? !